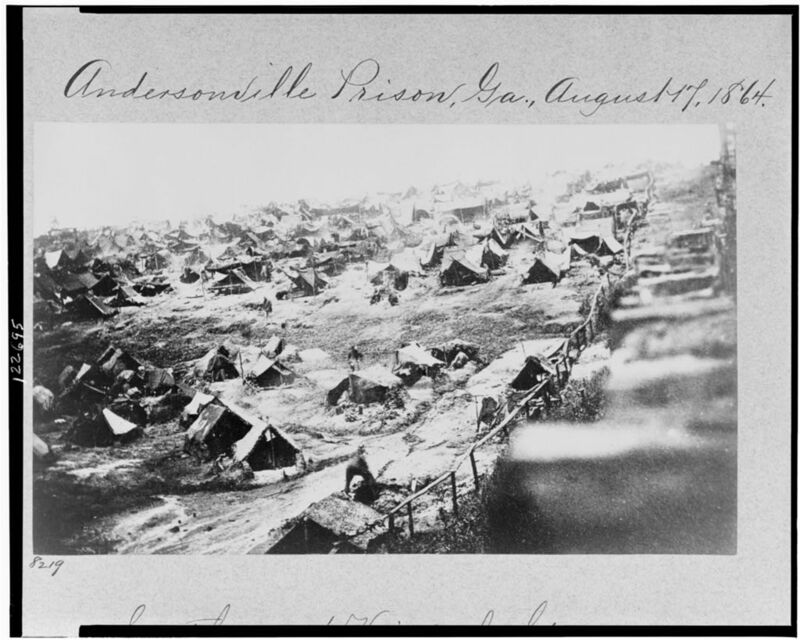 18th April 1864: About five hundred more prisoners came in to-day from Cahaba, Alabama. Bernard Tolen, Co. D, died to-day. 15th May 1864: We can see wagons haul away bodies from the dead-house, like so much dirt; as many as twenty bodies piled on one wagon. Upwards of fifteen hundred men have died since we came here. 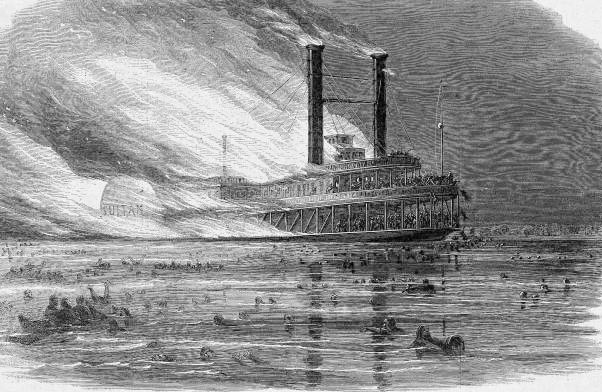 20th July 1864: One hundred and thirty prisoners died yesterday; it is so hot we are almost roasted. There were 127 of my regiment captured the day I was, and of that number eighty-one have since died, and the rest are more dead than alive; exposure and long confinement is doing its work among us. Congratulations on a very well done article. Michael Dougherty was my father’s mother’s father. Many articles I’ve seen on my great-grandfather get some of the facts wrong. Yours tells the story in an interesting and engaging fashion and was very well researched. Thanks. Many thanks for your kind words! You must be incredibly proud to have such an illustrious ancestor! My family actually originally come from not far away from Falcarragh, so I know his home area well- it is incredible to think of the life he had once he left. If you have any further information on Michael I am always keen to find out more about these men- many thanks for getting in touch! Very interesting story. That man’s life should be made into a movie. Thanks for sharing the history of this brave Irish American.. I agree! I’m glad you enjoyed it! james, I am doing family genealogy and I am leading up to Michael Dougherty being a ggreat grandfather possible. If you get this can you please email me at dlanemarie@aol.com. My great Grandmother was Margaret Dougherty from Pennsylvania. My fathers cousin was given a picture of Michael and was told he was a civil war prisoner and wrote a book, and that led me here…its been almost a year but I hope to hear from you. I just saw the note from Diane yesterday and sent an email to the address she posted. I’m hoping to hear from her so we can share Dougherty family info. 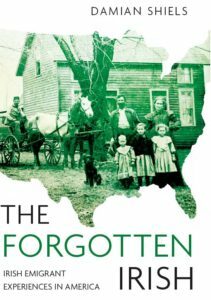 Damian, Excellent article on an amazing irish american survivor & hero from 150 years ago. I have read that Michael Dougherty proudly wore his medals while marching in a solemn parade each memorial day holiday in Bristol PA. And on this memorial day kindly think of those men & women who sacrificed their lives defending the freedom we in this country now enjoy. Many thanks for the kind words- I agree with your sentiments entirely.